On putting pen to paper, Suarez who will wear the No 22 shirt said: 'One thing no one knows about me is that when I was little I used to watch the Premier League on TV. 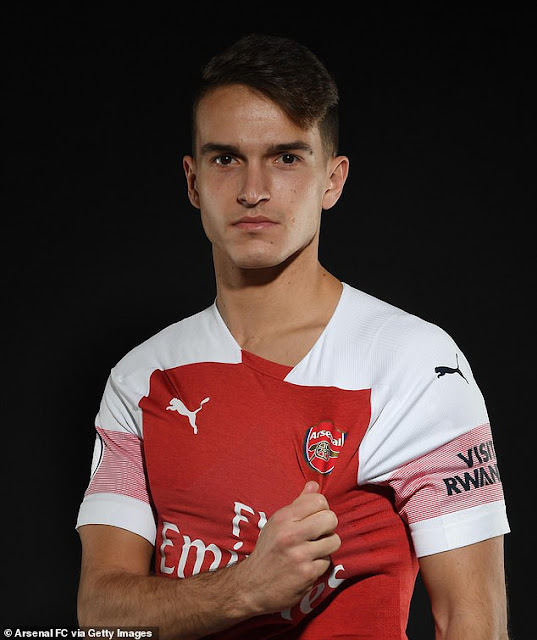 Speaking on his arrival, Gunners boss Emery said: 'We are very happy that Denis Suarez is joining us,' he said. 'He is a player we know well and I have worked with him at Sevilla.